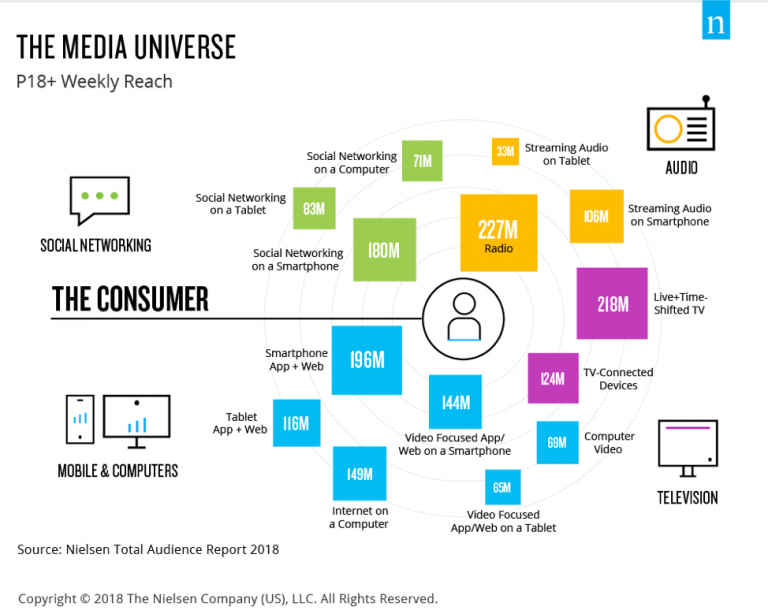 But where are US media users finding the time, and which platforms are driving them to engage more? While everyone likely has their own formula for squeezing in more media each day, Nielsen reports it is seeing increased engagement across apps and web browsing on smartphones and tablets, along with growing use of internet-connected devices. It’s also worth noting that US adults increased their time with live TV in Q1 2018 by 16 minutes when compared with Q3 2017.